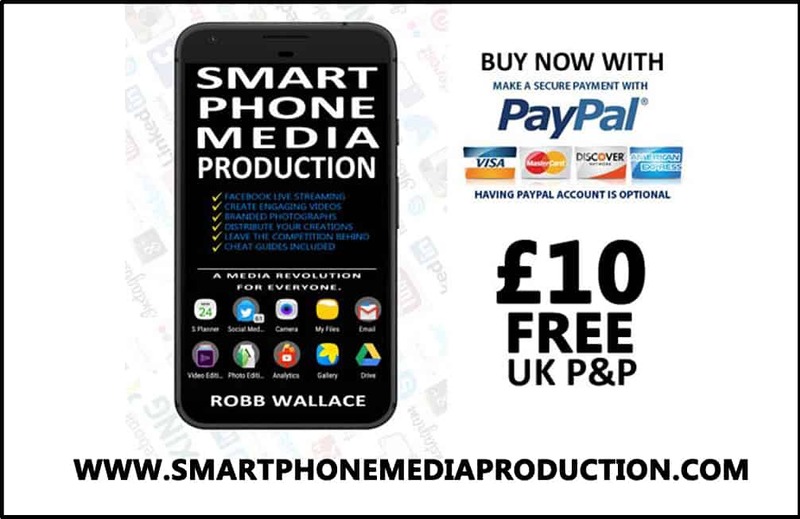 Robb Wallace Media took its first plunge into the murky world of book publishing in 2016 after extensive research Robb Wallace and Robb Wallace Media successfully published “Smartphone Media Production: A media revolution for everyone”. 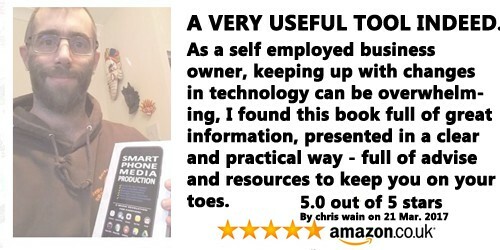 It was a big decision to bring everything in house and self-publish the book, however with a DIY ethos and a central theme of creative self-empowerment there only was one option for this smartphone book. Smartphone Media Production: A media revolution for everyone. 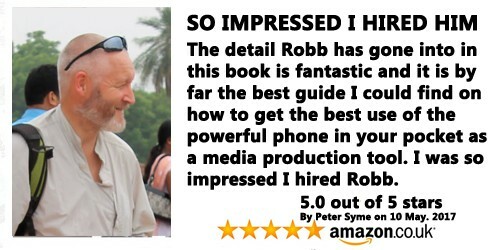 This smartphone book is an essential training manual for any potential client of Robb Wallace Media, the book teaches you to capture incredible smartphone photos, iPhone videos, Facebook live streams, podcast audio, create and monitor social media and more and all with just your smartphone. 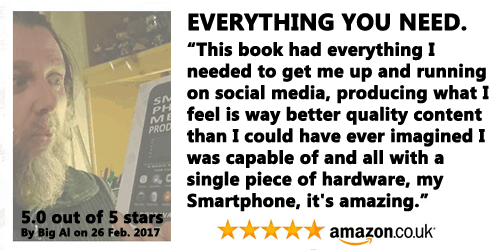 The book shows you how and encourages you to create media on your smartphone that will have your customers, family and friends watching, interacting and engaged and all with just your smartphone.